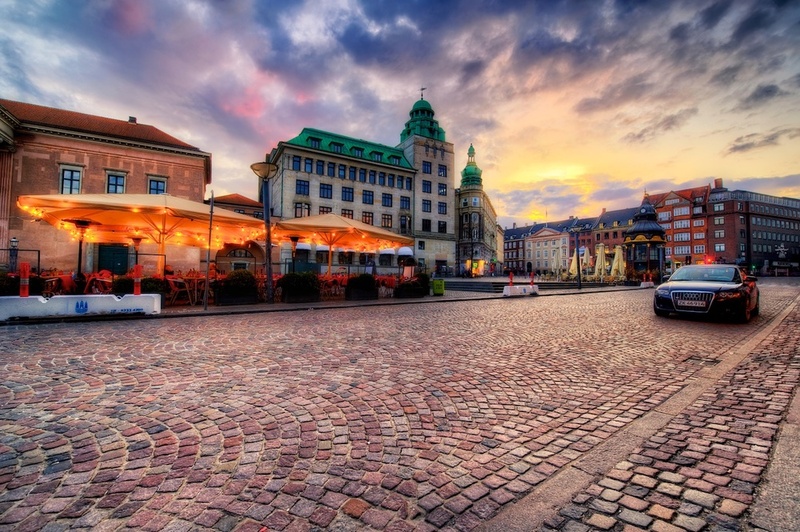 Have you ever visited Copenhagen? If so, what did you think? As I have stated here many times (and likely will again...like now), I loved Copenhagen. I had never been to what I would consider northern Europe or Scandinavia, and I haven't been back since. I hope that will change in 2014...we will find out. Anyways, it was beautiful and just as culturally rich as the other parts of Europe that I have been to. Not that I expected anything otherwise. I didn't really know what to expect, come to think of it. 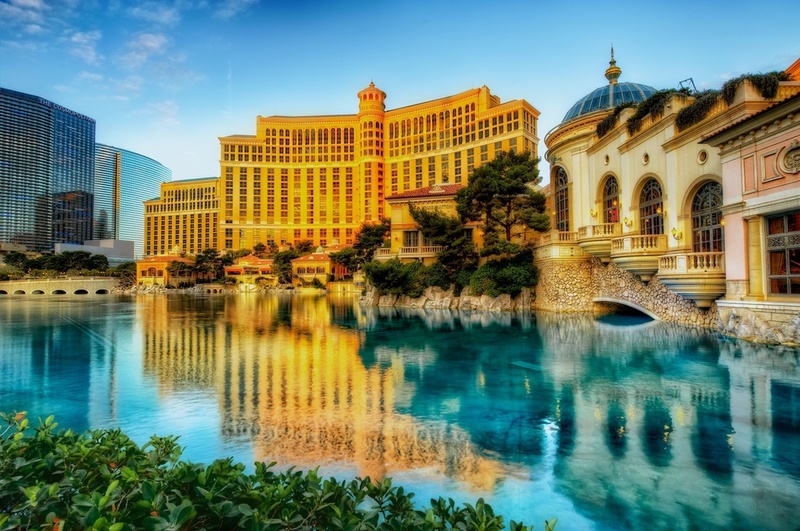 Isn't this place just awesome? And there were castles - you know I love those! Lastly, there is Nyhavn. This is their historic waterfront canal district which is now populated with bars, shops and restaurants. There are also these great old wooden ships, and many of the townhouses lining the canal are brightly colored. It's just beautiful. I took this shot on my very first night there, during sunset. It had been a rainy mess when I arrived after a long, long day of travel. I thought about calling it a day, but curiosity always wins that battle, so off I went. I'm sure glad I did! And for fun, here is a screenshot I took during processing in Color Efex Pro, showing the "Before" on the Left and the "After" on the Right. As you can see, I used 5 different filters here, all providing a specific effect on the final image. In particular, I wanted to bring up the contrast and the color, which this is great for. I am a huge fan of Nik Software’s Color Efex Pro, and use it on almost every image, especially my HDR work (which is most of what I do). It is an incredibly capable piece of software, and one that I find both effective and easy to use. I get a lot of questions on my Facebook page about this product, because I often post Before/After screenshots while I am processing a photo. I thought I would make it easy for everyone and put this little tutorial together to show how I use the product and which filters specifically I like to use to adjust my images. And while every image is different and therefore requires a custom approach, you can use this as a baseline for exploring your own creativity with Color Efex Pro. 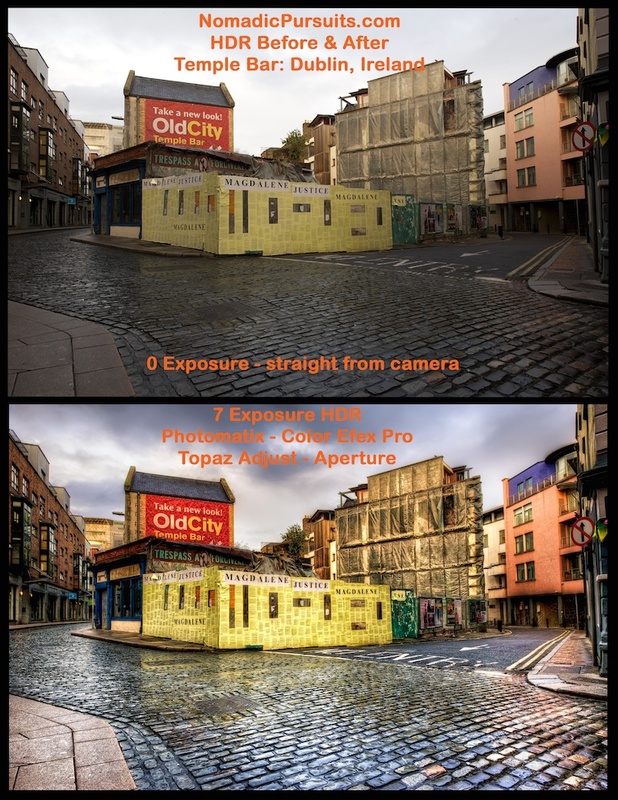 Note that I have an older review of Color Efex Pro which you can find here. Let me know if you have any questions, or feel free to share your thoughts in the comments section - thanks! To give you a sense of how far this process will take us (although it is quick and easy), below is the -1 EV image as shot in camera. This was actually the brightest one I got, oddly. 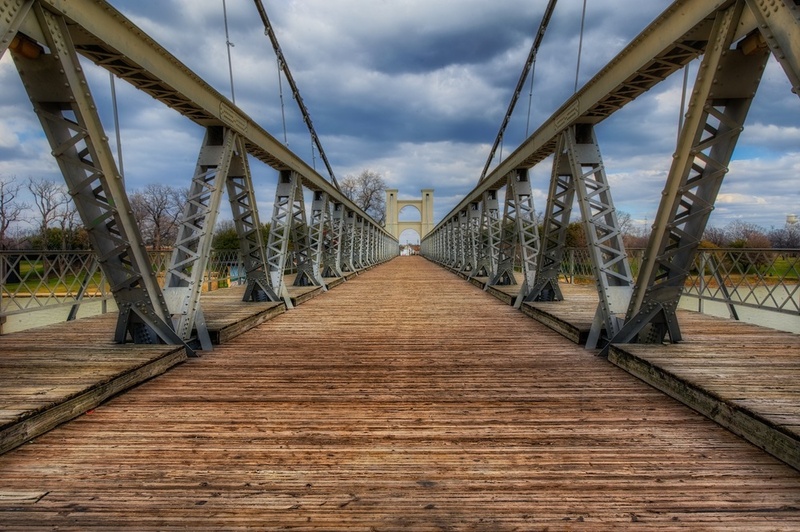 Anyways, the final result is the combination of HDR and Color Efex Pro. It really takes things a long way! Ok, I started the Color Efex Pro processing with this image below, which is a 7 frame HDR that was created in Photomatix. As you can see, it is already a vast improvement over the previous single-frame shot, especially in light distribution. Since I am not covering all the Photomatix stuff in this tutorial, I am going to just present the image as it came out of Photomatix. I spent only about 10 minutes on it in Photomatix, which is about normal for me. 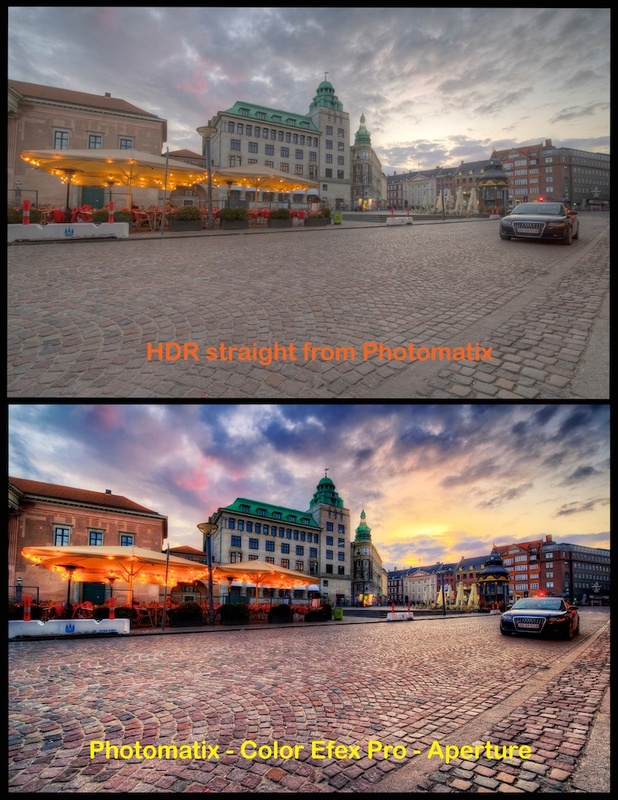 You can see my full HDR tutorial with Photomatix here. Usually, the first filter I use is Detail Extractor. As the name implies, it pulls a lot of detail out of the scene, but all filters are global in nature. What I mean is that the changes or enhancements they make are applied to the entire image. In this case (and in most cases), I do not want to bring out details in the sky, so I use their Control Points to remove the filter selectively from the sky. That cleans things up a bit, in my opinion. See the white dots in the sky? Those are the Control Points, and I have placed 3 in the sky to remove the detail. Do you see the section on the right panel that says Control Points? The one with the circle and the minus sign is used to remove the effect of the filter from the section of the photo where you place it. And yes, you can adjust the size of the section once you place the Control Point there. Notice the panel on the right side of the frame? Under where it says Color Efex Pro? That is the filter adjustment panel, and the various sliders are what allow you to adjust the photo (Detail Extractor, Contrast, Saturation). Once you finish with that filter, it’s time to add another one, which you do by clicking on the “+Add Filter” button below the adjustment panel. The ability to stack filters is where a lot of the magic of this product comes into play. Next, I go for Pro Contrast. This is a powerful filter and is always on my list to use on an image. There is Correct Contrast and Dynamic Contrast. I like both, but be careful with Dynamic Contrast as it tends to darken the sky at times. Again I used their Control Points at 4 different spots in the sky, allowing me to maintain the original look of the sky without having the contrast adjustments overly darken the sky or the clouds. There is also the option to Correct Color Cast. I used that one rarely, but it is effective. One more click on “+Add Filter” and this time it’s the Skylight Filter. I love this one and it’s a great way to warm up a scene. When I was there, the setting sun cast an intense and warm glow on me and I wanted to recreate that, as some of the feeling has not come through in the photo yet...at least to me. So with the Skylight Filter, it’s just the one slider, labeled Strength. I bump that up a bit to amp up the warmth and bring this back to the way I remember it. Now, here is where I start double-checking my settings on each filter and decide whether that individual filter has helped the final result, or if it needs to be adjusted one way or another. Here’s the easy way to do this. See the box in the upper right where all the filters are listed? See the box to the left of each filter name with a check box in it? All you have to do is uncheck that box, and it turns off the filter. I start at the top and work my way down, unchecking one at a time and examining the photo after each un-checking. I ask myself whether the filter has helped or hindered the feeling I am trying to convey, and to what degree. Usually I find that I go back into each filter and make slight adjustments during this process. I always end up making a few changes, at least. In the image below I have unchecked the first one, Detail Extractor. As you can see, much of the detail has been removed. I like having the detail in the arch and the ground, so I add the check back to the box, and the filter settings I used are returned to the photo. But since I had inserted Control Points in the sky, the details are not added there. Next, I uncheck Pro Contrast (and the photo gets a little flatter to my eye)...so I decide to check the box again so that the contrast adjustments remain. ...and then I uncheck Skylight ( and it loses significant warmth so I add this one back too). So I have decided overall that I am happy with the results thus far, so I click Save and the photo is returned to my library in Aperture. Once there I make a few more adjustments (Skin Smoothing in the sky to give it a cleaner look; Sharpen to bring up the ground a bit). I also reduced the saturation in a few spots, especially the greens. 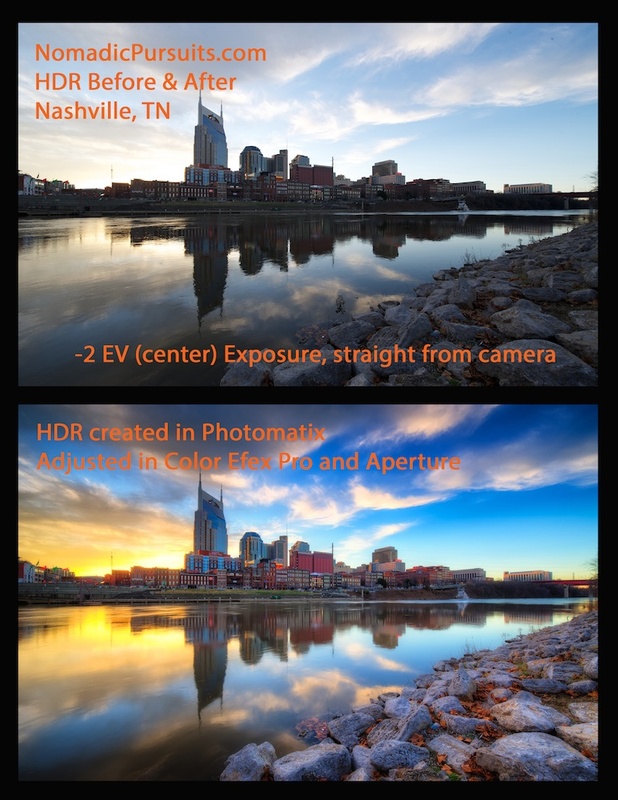 As you can see, using Color Efex Pro is a very effective way to bring your HDR photos to life! I hope this little tutorial was helpful and do let me know if you have any questions! 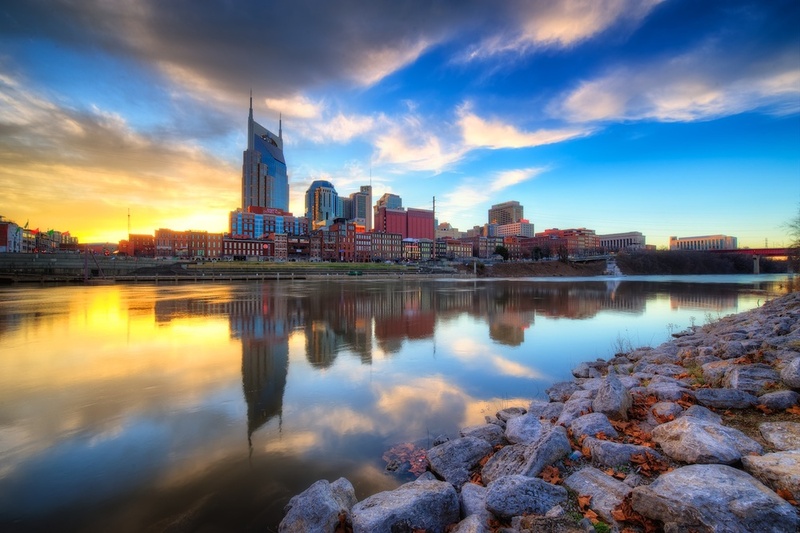 I was in Nashville last week, and had a few spare minutes to shoot around the sunset hour one evening. The sky had been empty all day, but as luck would have it, everything came together and the golden hour and then the sunset were incredible. I was happy to be standing here for an hour, gunning brackets to the left and the right. I am always a fan of reflections, and when I can get a city skyline in great light like this, it just makes it that much better. I love European streets. There's just something about them. The cobblestones, the historic architecture - it just pleases me to look at them, whether through a camera lens or not (though to be honest, mostly through the lens). This one is just off the Stroget in Copenhagen, Denmark. I was having dinner and happened to look out the window of the restaurant. I saw this stunning sunset coming together, and just had to run outside and get a shot. The food will wait - the sunset will not! One more thing: here is a Before & After version. You can see how "flat" the photo was coming out of Photomatix (which is how I like it) and compared to the final result it is vastly different! There's just so much cool stuff to see in Ireland, and I have never even made it outside of Dublin! 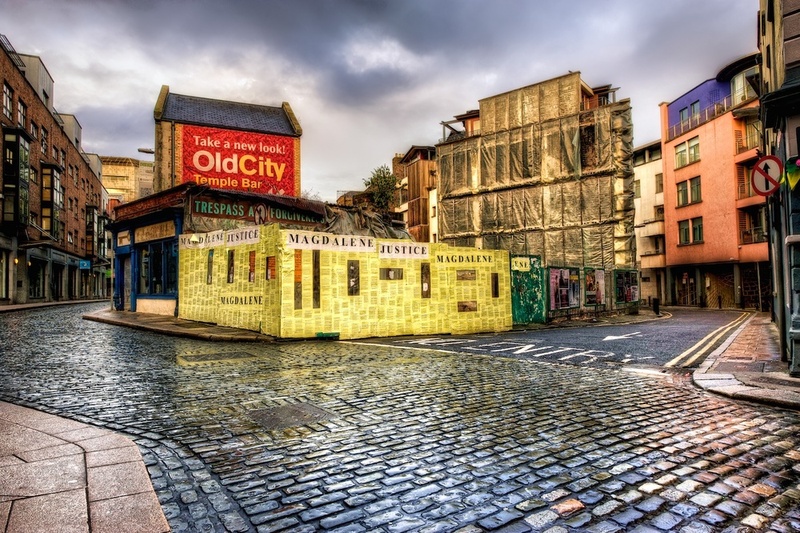 Whenever I am there, I find myself wandering the streets and alleys of the Temple Bar District, usually early in the morning. 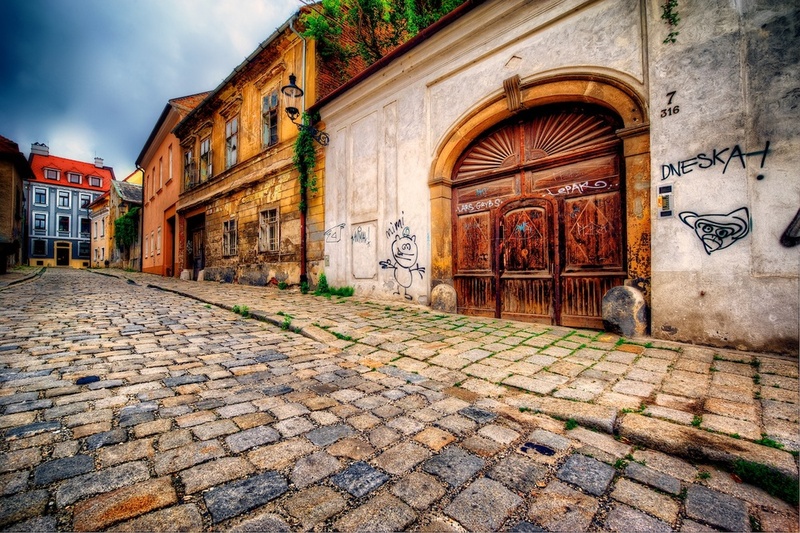 It's a beautiful and interesting historic district, with cobblestone streets and cool architecture. Plus, in the morning you can usually get empty streets since the tourists are still asleep. In this case, I actually set up for the shot and was about to fire my brackets when all of a sudden, several people walked into my shot, from different directions! I was thinking "where did these folks come from?" but after that small crowd made their way to wherever they were going, it was back to being just me, my Nikon, and the silence of an empty European street. 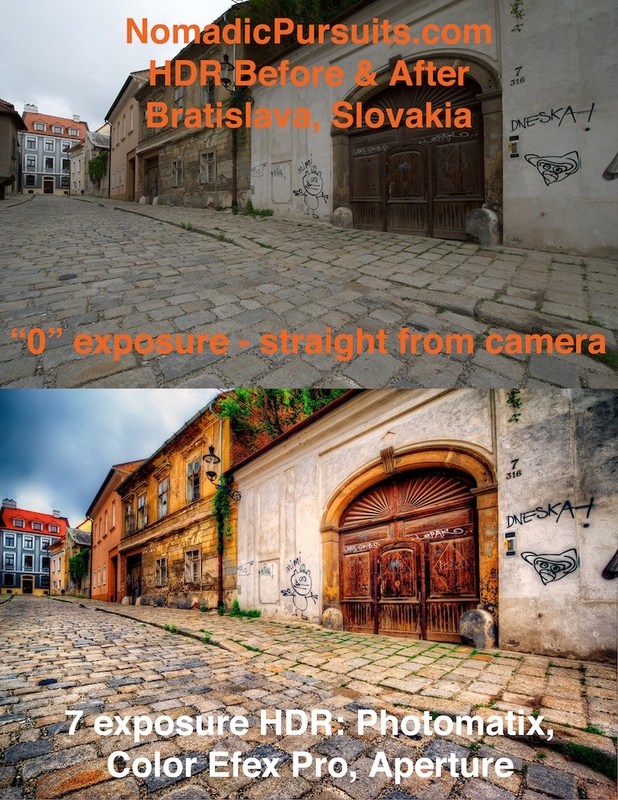 I also thought I would put together another HDR Before & After comparison on this shot. 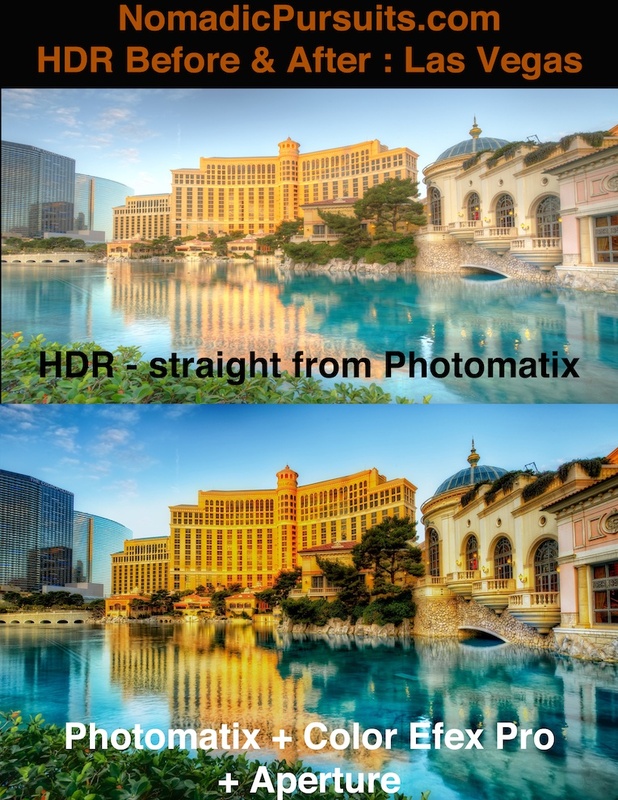 HDR sure makes a HUGE difference here! Thanks and let me know your thoughts.